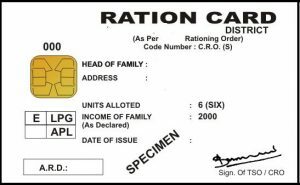 Ration card verification and complete procedure of how you’re ration card documents should be verified by the Food civil supplies department. In this article, we are going to explain about the Verification procedure which will be carried out once the applicant applies. Ration cards are categorized into four types as APL, BPL, AAY and Honorary cards. These are classified based on the annual income of the applicant. For that, the verification procedure is done for each application exclusively. Those Ration card verification details are shared below. To Apply for a new Ration card, the applicant has to visit the nearest Food and Civil Supplies (FCS) department. After filling the form he/she must submit it to the officials in the office. The applicant must also submit the proof documents along with the application form. The documents such as Residence proof and Identity Proof are verified by the officials. The officials of FCS will verify the documents submitted by the applicant. They verify if the documents and the details in those are correct or not. For that, officials visit the applicant’s address and conduct an interrogation. They conduct this interrogation with the applicant’s neighbours and other friends of the applicant. After getting enough details they certify the Documents to be verified. They also know about the details of the Applicant’s family members to crosscheck with the details mentioned in the application form. They have to verify the details such as Head of the Household, Number of family members, the list of the family members etc. This verification procedure varies from category to category in Ration cards. Thorough Verification is conducted if the applicant comes under the BPL or AAY category. There will be additional aspects to be checked before giving the applicant his/her ration card. As the BPL and AAY are the categories in which people can avail more benefits and services rather than APL category. For APL category and for White cardholders they only use their Ration cards as Proof Documents. Financial Status of the Applicant and his/her family should be verified. House-to-House surveys are also conducted for the verification of the data. The Collector and Joint Collector would look over these verification training camps. Note: Any deviations, discrepancies, Irregularities and cancellations in the Ration card verification will have a serious action. So they complete their verification procedure in time-to-time and sent the updates regarding the Verification results to the Food and Civil Supplies department nearby. If all the details filled and submitted by the Applicant are reliable then his/her ration will be processed. 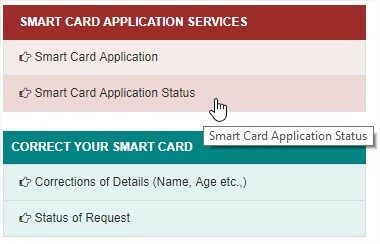 After few days, the applicant can check whether his/her card is got uploaded or not. The procedure of checking whether your card is uploaded or not is explained in further lines. A procedure should be tailed by the Ration card applicant to check for the confirmation of his/her card. It would just take a few steps to check your Ration card. You will get updates regarding your Application through SMS, which was linked with mobile number. You can also do this procedure online, by using the official website portal of the Tamil Nadu’s PDS department https://www.tnpds.gov.in/ (For Tamil Nadu Citizens). After submitting the Application form, the applicant will be given a receipt. The proof documents are checked whether they are original or not. Then the applicant is provided with an acknowledgement number for tracking. If the application is genuine then the applicant’s whole family is called to the office. A picture of the whole family is taken and then another receipt is given with updated tracking number. The further status can be tracked with that number online. After few days, the Ration card will be delivered to the Applicant via post or the applicant can collect the Ration card from the nearby Ration shop itself. Any mistake in the application form can be lead to the cancellation of the whole Application form. Then the applicant has to apply again which will be a waste of time.